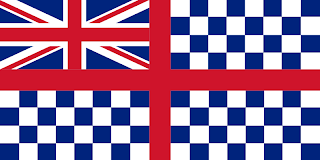 In the 19th century, there are reports about Guernsey using a flag that bears a resemblance to the Royal Navy's Ensign. 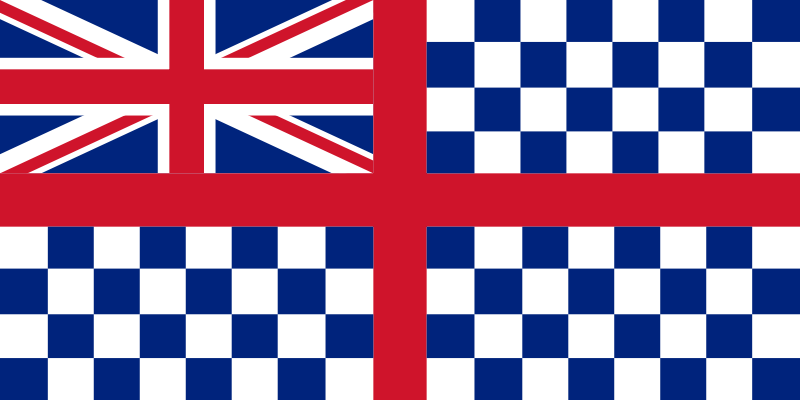 A red St Georges Cross, with a Union Jack in the upper hoist canton, and the other three cantons being decorated with a blue and white checkerboard pattern. Following this, the island of Guernsey was granted the ability to fly a new flag in 1936. This was the Red Cross of St George, the same as England. This did lead to a lot of confusion, especially during sporting events when Guernsey and England competed under their own flags, such as the Commonwealth Games. So, in 1985, a committee was set up to look into redesigning the flag to make it stand out as different to the flag of England. The choice the committee settled upon was to place a gold cross over the red cross. This was taken to be from Duke William of Normandy who had been given this symbol by the Pope. And of course, Normandy is the part of France to which Guernsey is closest. 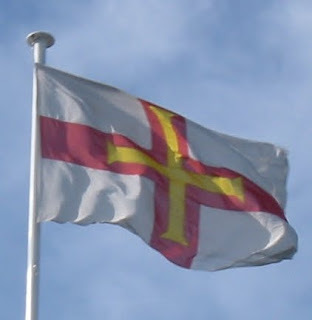 The Red Ensign used by ships registered in Guernsey is the standard Red Ensign, with the Union Jack. However, it features the gold cross in the fly.